With the introduction of autonomous cars fast becoming a reality, comparethemarket.com has launched the UK’s first ever beta driverless insurance page. As the car industry gathers pace in developing driverless cars, questions have been raised over how the insurance industry will need to change, and how this might impact premiums. Working with Professor Neville Stanton, Professor and Chair of Human Factors Engineering at the University of Southampton, comparethemarket.com has ‘future-gazed’ to see how completing a quote might look when buying car insurance in the future. The quote journey is designed to help customers better understand the concept of driverless cars, while also preparing them for when they’re introduced to UK roads. With the arrival of autonomous vehicles on the UK’s roads becoming more certain, the new research reveals that the nation remains divided on whether driverless cars deserve the green light, with 44% of Brits supporting them and 44% opposing their introduction. Despite this display of apprehension, further analysis shows that many also see the positives in the introduction of driverless cars. The majority (59%) of drivers believe the driverless car revolution will be a good excuse to get sociable and chat with fellow passengers, while two in five say they would use the time to catch up with friends or colleagues on the phone (43%). Just under a third (28%) felt they’d be able to relax and snap a few photographs of passing scenery, while also catching up on social media (28%). 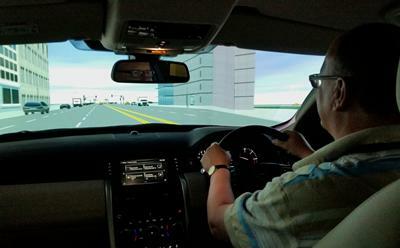 When it comes to insuring a driverless car, over two in five (43%) felt their insurance premiums could sky-rocket, despite the technology’s potential to eliminate human error. YouGov conducted the research in June 2017 with 2,040 respondents. Simon McCulloch, Director of Insurance at comparethemarket.com comments “The future of driverless cars is closer than we think and with a nation divided on the benefits they could bring, we at comparethemarket.com want to help our customers learn more about the subject, so they can feel better informed about the pros and cons. It is vital any concerns the public might have are addressed before plans for driverless vehicles go into autopilot. “A major point of concern and confusion for motorists is how the arrival of self-driving cars will affect their insurance policies, which is why we created our newly designed driverless car quote journey. By seeing how a future policy might work, we hope we can help the debate on what the future could hold for personal transportation and how this could impact insurance policies."